This article has been compiled from various published materials and my own personal family research. See the bibliography at the bottom of the page. Michael Joyce was one of my maternal great-great grandfathers. He was born in September 1851 to Richard Joyce and Bridget Tubbs and baptised on 6th September in St Mary’s Church, Limerick. His godparents were named John Tubbs (his maternal uncle) and Bridget McGrath, who may well also been a relation, as Michael’s paternal grandmother was a Joan McGrath. Richard and Bridget had 9 other children including two called Richard and two called Cornelius. Presumably one of each named child did not survive but they were born before death records began. They also had one set of fraternal twins. Michael was the fourth child. 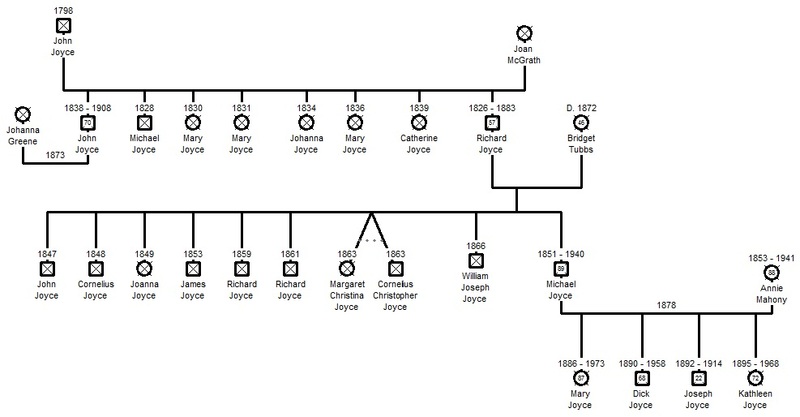 His mother Bridget died in 1872 and Richard Joyce remarried the same year to Ellen McInerney. He went on to have four more children with her and died in 1883. Ellen herself also remarried. Family stories suggest that Ellen kicked Michael out of home and this drove him to sea, but the dates do not match up. Michael was already in his early 20s when his father remarried. In 1878, Michael Joyce first appears on the registers for river pilots. Research in the House of Commons papers shows that he maintained this licence until 1918. Much of the published material on Joyce discusses his short but extensive shipping career, which took place in early youth before he became a river pilot, including 4 harrowing shipwrecks. Applicants for a river pilot licence had to have spent 5 years at sea. 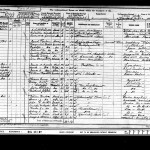 She married Michael Cunningham Dineen in 1905 and had 12 children. After his early death, she married John Lively in 1931. She briefly contested her mother’s will in the 1940s, settling outside of court. He emigrated to America, and married May Kinnane, a woman of Irish descent, there. He fought in the US army in World War I but was discharged due to injury. They had four children and this branch of the family is entirely US based now. He died young of peritonitis after an operation. Due to his father’s public role, there are a number of published obituaries and condolences in newspapers. After Joseph’s death, Michael and Annie moved to his house “The Moorings” on O’Connell Avenue. She married Thomas Henry Guerins and had 5 children. Due to his job in Woolworths, the family moved around, eventually settling in Dublin. She died at her daughter’s home in Dudley, UK but was buried in Sutton cemetery in Dublin. Michael Joyce was elected an Alderman of Limerick Corporation in 1899, and became a Member of Parliament for Limerick city the following year. He retained his seat until 1918. He also became Mayor of Limerick in 1905-1906. He hosted the Lord Lieutenant and his wife in 1906. Family lore records that it was suggested to Joyce by Lord Aberdeen that if he were to invite King Edward VII to Limerick during his tenure, and the visit went well, that he could expect a knighthood. As a proud member of the Irish Party, Joyce felt he could not do so. During his time in the House of Commons, he was heavily involved in the Pilotage Act of 1913, and also became President of the United Kingdom Pilots Association. 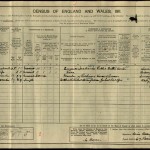 The 1901 census shows Michael Joyce in London, rather than at home in Limerick. He is listed as single and aged 40 living at 77 Denbigh st as a boarder with other members of the Irish Home Rule party. I suspect he may not actually have been home on the night, as he was not only married but also 10 years older than recorded. The 1911 census also shows Michael in London, now at 67 Kennington Oval. This time he is married and his birthplace is recorded as Limerick. He has started to complete the information about years married and children, which he states as 30, and 4 but it is crossed out. His age and the years married are both slightly off. 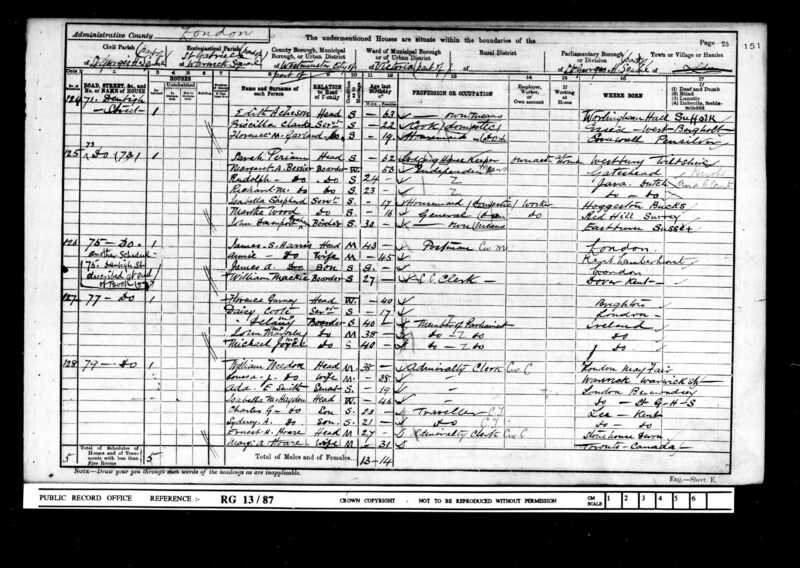 His family are back in Limerick on both censuses (1901 & 1911) and no indication (as one would expect) of where Michael stayed that night is given. At the very end of the Great War, Michael Joyce was travelling on board the RMS Leinster when it was torpedoed and sunk by a German U-boat. Over 560 people drowned. 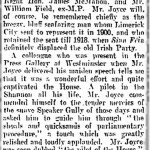 As both an experienced sailor and person of note, Joyce was interviewed in newspapers afterwards (The Freeman’s Journal of 11 October 1918). He helped steer a lifeboat.. It was the fifth shipwreck of his life, and I wonder did it contribute to his decision to retire and not contest the 1918 election, which saw Sinn Féin gain a landslide victory. On 6th November 1928, the Irish Times recorded the occasion of Michael Joyce’s golden jubilee wedding anniversary. The article lists his accomplishments and guests at the party but fails to mention the name of his wife or children. Michael Joyce died on 9th December 1940 at the age of 89. The Irish Times published an initial death notice and a full obituary the following day. Winston Churchill sent a condolence telegram to Annie Joyce but it no longer survives. Probate of his will was granted 19/2/1941 to his widow, he left an estate of £1452 12s 4d. 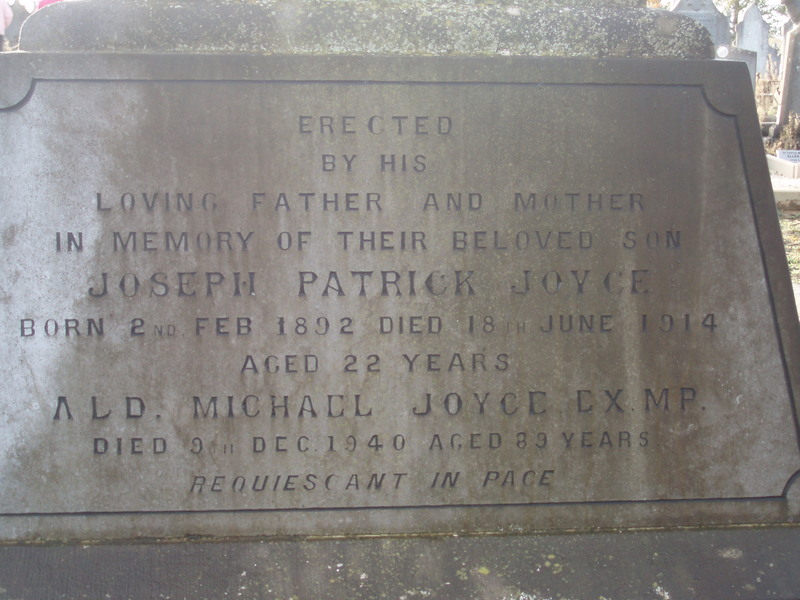 Michael Joyce is buried in Mount St Lawrence cemetery in Limerick city, with his wife and other family members.